And my mission to spread the word (and help others discover the secrets of essential oils) was birthed! While I was cleaning my shower with bleach… I realised the fumes were practically knocking me out… and I suddenly woke up to the fact that they were horribly toxic. I asked a friend what she used for cleaning, and I was introduced to doTERRA essential oils––beautiful top-quality, certified pure therapeutic grade oils. 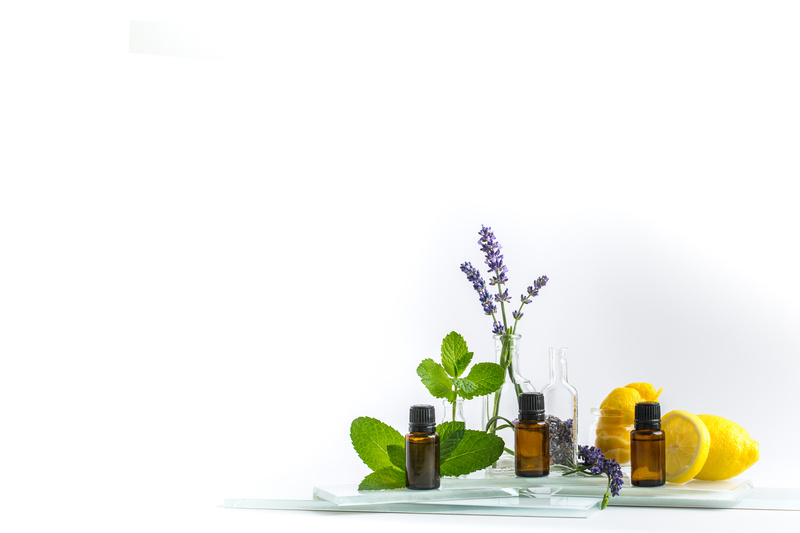 The 3 top-favourite oils––lavender, peppermint, and lemon in the Intro Kit––are completely perfect to begin your own discovery journey into the hidden treasures essential oils hold if you are new to the oils. Here are 12 of my favourite super-quick-and-easy ways to use each of the 3 oils in the kit. 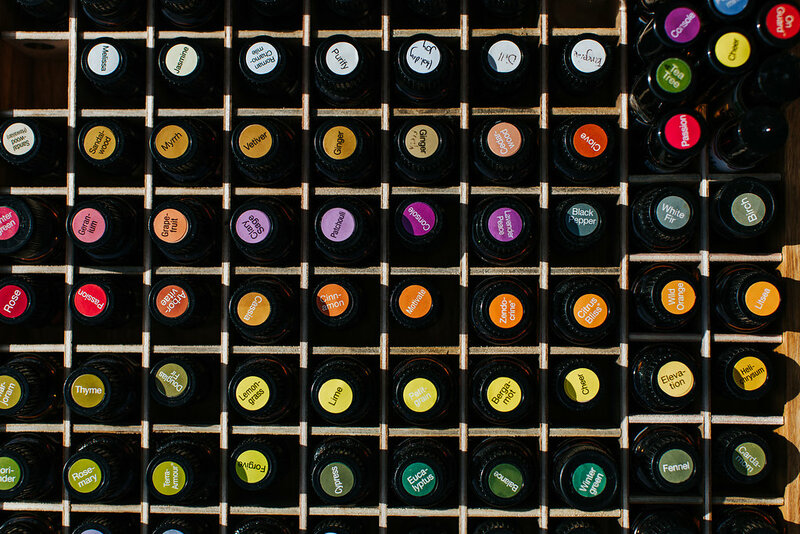 doTERRA essential oils are CPTG––Certified Pure Therapeutic Grade––meaning each batch has undergone a whole series of tests to guarantee its purity and potency. doTERRA source their oils sustainably and from indigenousness environments, supporting disadvantaged communities around the world via their Healing Hands Foundation. Lavender is a natural first aid kit… it’s amazing for cuts, scratches, and burns. And the relaxing properties don’t stop there… After a stressy day add a couple of drops to some body wash and mix into your bath water for a beautiful, restful soak. For a beautiful natural calming air freshener with no toxic nasties, simply add 5 drops to a spray bottle with water, shake and spray. And you can use this all around your home, bathroom, car, anywhere! Leave the jar from above (no. 5) in the room, with the holey lid on, as a deodorising air freshener. Shake it up every day or so for maximum freshness. Another crazy simple room freshener: vacuum up a tissue or cotton wool ball soaked with lavender (or lemon) oil, and spread the love everywhere you vacuum. Wood floors and furniture cleaning: woods love oils (not harsh commercial cleaning chemicals!). Adding a few drops of lavender oil to your wood cleaning system can be a fantastic addition. I really love the smell around my home when I do this. Insect and bug bites and stings: apply a drop of lavender to the area for its speedy soothing and calming action. Skin soother: I love this one so much! If you get a little too much sun, or for occasional skin irritations/breakouts, try applying lavender oil to help soothe the area. Homemade facial scrub: fill a small jar with oatmeal and add 5-8 drops lavender. To wash your face: remove a small amount, add water, and apply. Rinse off. And if you make your own homemade playdough, adding a drop of lavender to it makes all the difference to the smell, and the whole play experience becomes even more relaxing. For head and neck tension: apply a drop of peppermint oil in carrier oil* to your temples, neck, sinuses, and shoulders. And for extra clout, try adding a drop of lavender to the peppermint, and apply. Need a breath/mouth freshener? A drop of peppermint (+ lemon oil for added oomph) in a glass of water, take a sip, swish round, and spit! And you’re good to go. Stuffy, blocked nose: yay for peppermint! It contains menthol––an ingredient found in many decongestant products––which helps to clear our airways and sinuses, and can help with coughs and colds. Need an energy boost? Try reaching for the peppermint rather than the coffee! Simply inhale the aroma from the opened bottle of peppermint, or place a drop in your hands (+1 drop of lemon oil for even more oomph), ‘cup’ them together, and inhale gently for a few breaths before washing your hands. Or use in a diffuser. Dandruff and lice? Try adding a few drops to your shampoo. The antiseptic properties will discourage the visitors and promote a healthy scalp. Bonus tip: if you use this first thing in the morning, you’ll get that lovely wake-me-up aroma as well. Need help concentrating, or do your kids need help focusing on homework? Simply breathing the aroma from the bottle, from hands (see peppermint point 4 above), or from a drop placed under the nose, can really help improve focus and concentration. On a HOT day (and we get plenty of those here in Australia) peppermint oil is fantastic at helping us keep cool. I add few drops in a spray bottle with water and shake the bottle… Close my eyes, and spray my neck, arms, legs, and feet… Relief! Tummy discomfort: try rubbing 1 drop peppermint + 1 drop lavender oil with a carrier oil* onto the tummy area to help ease the discomfort. Great when travelling, on roller-coasters, or when you’ve eaten just a bit too much! Lots of bugs HATE peppermint! Add some peppermint oil to a spray bottle with water, shake, and spray where ants, spiders, aphids, mice, and cockroaches love… and reclaim your home. Sore, tired feet love peppermint oil: soak away the stresses of the day with a foot bath with added peppermint oil (add the oil to some body wash before adding to the water to help it mix properly). Or massage your feet with 1 drop peppermint oil + 1 drop lavender oil in carrier oil*. Peppermint oil makes for powerful natural, non-toxic cleaning around your home… Just add 5-10 drops to water in a spray bottle, shake, spray, and wipe. The beautiful zesty lemon oil has an invigorating aroma which helps promote increased focus… either inhale the aroma from the bottle, or place a drop in your hands, rub together, and breathe in the smell before washing your hands. But as well as helping with increased focus, this aroma inhalation can also help to lift your mood and chase away the blues! When your child draws all over the walls with beautiful, but misplaced artwork… take a photo, and remove with lemon oil, phew! Dropped oil from your food onto your fave top? No worries, simply add lemon essential oil onto the stain, work the lemon oil in, and wash asap. And the stain should vanish… but if any remains, just repeat. It works a treat, I know… I’ve had to use it! For added powerful disinfectant properties to your low tox cleaning, simply add a few drops of lemon oil. Mopping the floors… add several drops to the water. Surface spray… a few drops in a spray bottle with water, or a mix of water and white vinegar, shake, spray, and wipe. Smells great too! Sticky bits on items left by labels, or from your kids’ love of stickers: remove the sticky residue easily with, you guessed it… lemon essential oil. Burnt food on pans? Just add a few drops of lemon oil to the pan, add water, and boil for about 10 minutes… wash and watch as burnt food comes away easily. As well as having a wonderfully fresh aroma, lemon oil helps deodorise nasty smells… soak cotton wool balls with it and hide them behind the toilet or sink for a fresh smelling bathroom. Or spray a mixture of water+lemon oil over smelly shoes and sports bags, and leave overnight to work its magic! 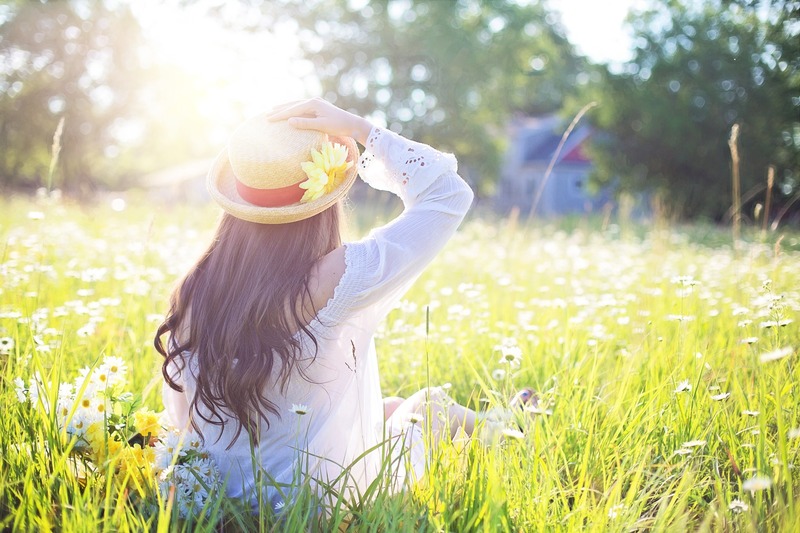 Anxious feelings are particularly common and unpleasant, diffusing a drop of lemon with lavender can actually help to ease them and promote a more stable mood. To keep your chopped fruit tasting beautifully fresh, (and with an added zing,) spray it with a mixture of water + 1-2 drops of lemon oil. Hate having hard skin on your heels? We all get it but here’s a fab way to soften the skin, and beautify your feet… regularly apply a drop or two of lemon oil in a carrier oil* and massage it in. Applying at bedtime works well so it can get to work overnight. * A ‘carrier oil’ is simply an oil you mix the essential oil with to dilute it. Some people use macademia, almond, or coconut oil from their kitchen, or other oils designed specifically for beauty and wellness purposes, like fractionated coconut oil (which is a liquid unlike normal coconut oil) or jojoba oil. It’s super easy to order… just click HERE, click ‘Join & Save’ in the top menu, and follow the prompts to set up your wholesale account. 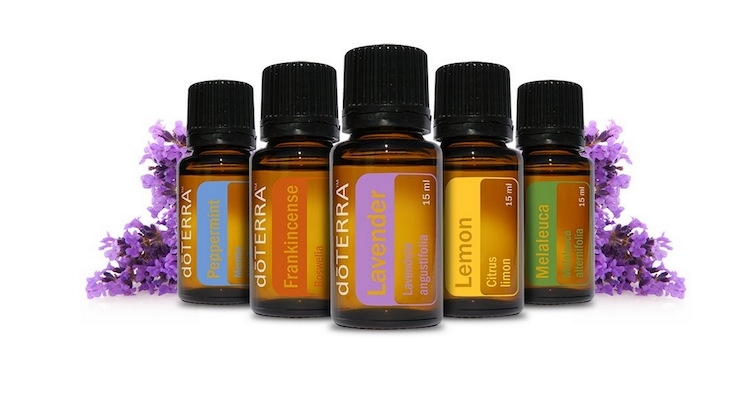 In case you’re wondering, joining as a member does NOT require any forced monthly ordering or requirement to sell doTERRA in order to take advantage of the amazing wholesale account benefits. If you would like to use the oils for personal use only at this stage opt for ‘Wholesale customer’. However if you think you may be interested in sharing the oils with others as part of my business opportunity opt for the ‘WELLNESS ADVOCATE’ option as opposed to the ‘Wholesale Customer’, you will then have the opportunity to receive financial benefits. Make sure to order the ‘Introductory Packet’ (note, this does NOT contain any oils) for $35 which sets up your account, so you have 25%off this, and any future orders. Type into the cart where it says additional items or product name ‘Intro Kit’ and you will be able to order this for the wholesale price of $26.50. And of course, if you fancy any of the other kits or oils, you can simply choose them instead. When you enrol with me you have access the incredible support of my entire Healthy Happy Life Tribe. Even though we all have different lifestyles and goals, we all share a common goal of embracing a happy and healthy life.